Breaking Dawn Part 1 Comic Con Poster [HQ]. . HD Wallpaper and background images in the Breaking Dawn The Movie club tagged: hq the twilight saga breaking dawn part 1 comic con poster cullen. 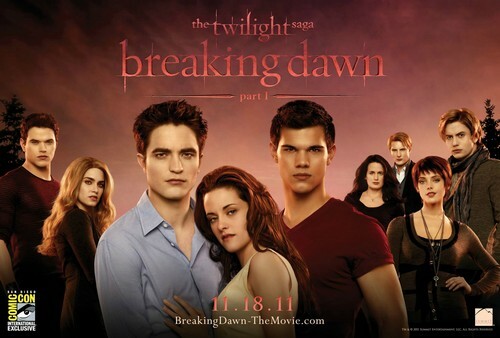 This Breaking Dawn The Movie photo might contain ব্যবসা উপযোগী, সঙ্গীতানুষ্ঠান, সাইন, পোস্টার, টেক্সট, and চকবোর্ড.